The Jack Wolfskin Men's Viking Sky Jacket is a waterproof 3 in 1 jacket with a removable inner insulated jacket. The 3 in 1 design of the jacket provides year round versatility, allowing you to wear the shell jacket on its own during warmer weather or combined with the inner jacket when the temperature drops. The outer jacket utilises Texapore Taslan 2L fabric, a waterproof, windproof and breathable fabric that will keep you dry and comfortable in all weathers. Combined with a waterproof ripstop fabric, the Viking Sky is a highly durable weatherproof jacket designed for active outdoor use. 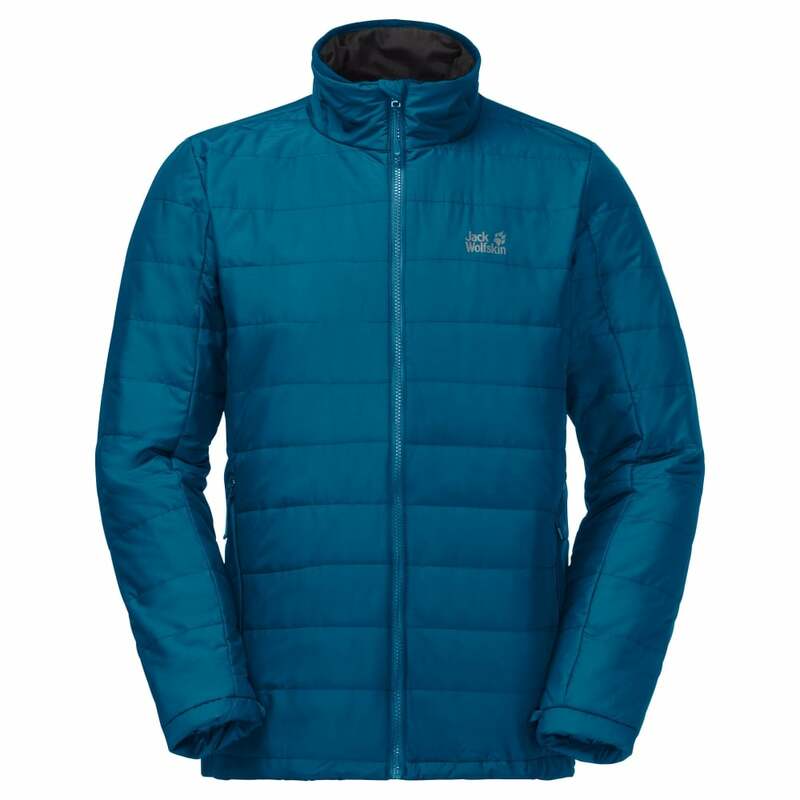 The removable inner jacket is insulated with Microguard 100g/m2 synthetic fibre insulation providing lightweight and robust insulation. The outer of the inner jacket is lightweight and windproof Stormlock Softtouch fabric for windproof protection and enhanced heat retention.